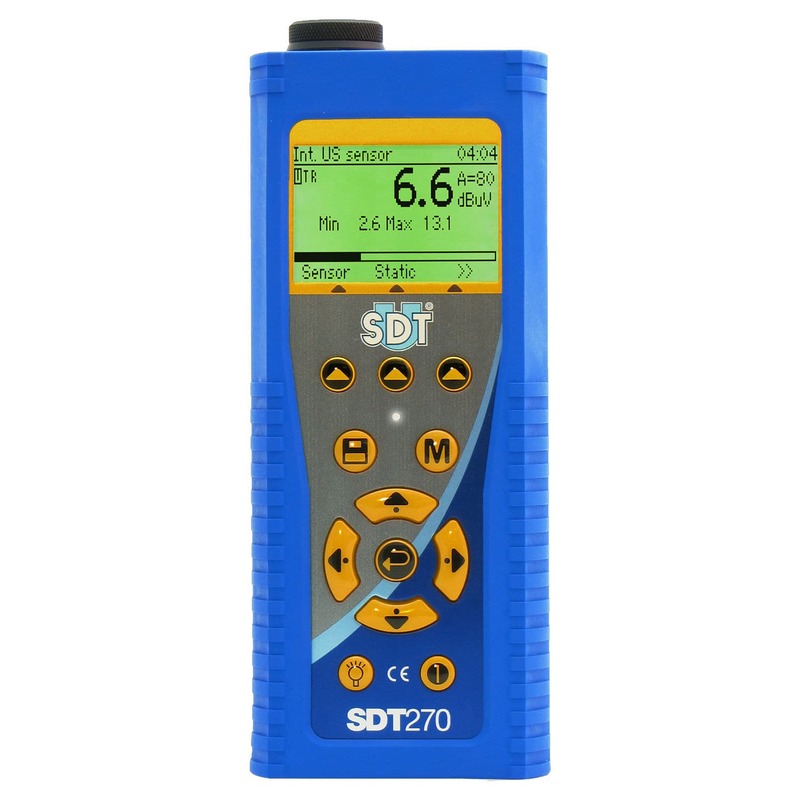 Leak Detection with the SDT270 : Locate Leaks. Save Energy. Maximize Uptime. 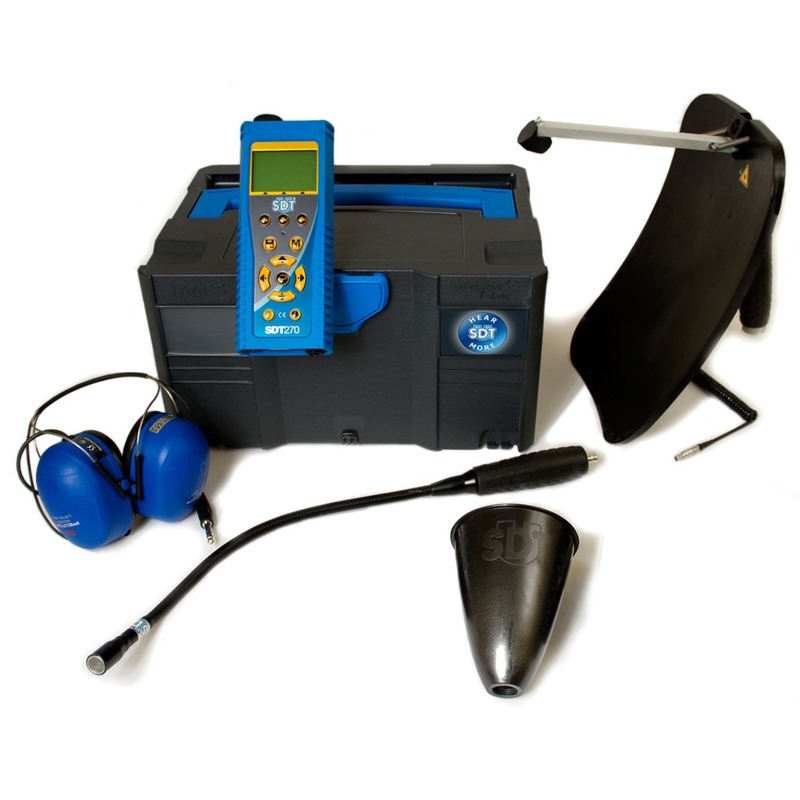 The SDT270 Leak Surveyor Kit provides a complete solution for compressed air leak programs. 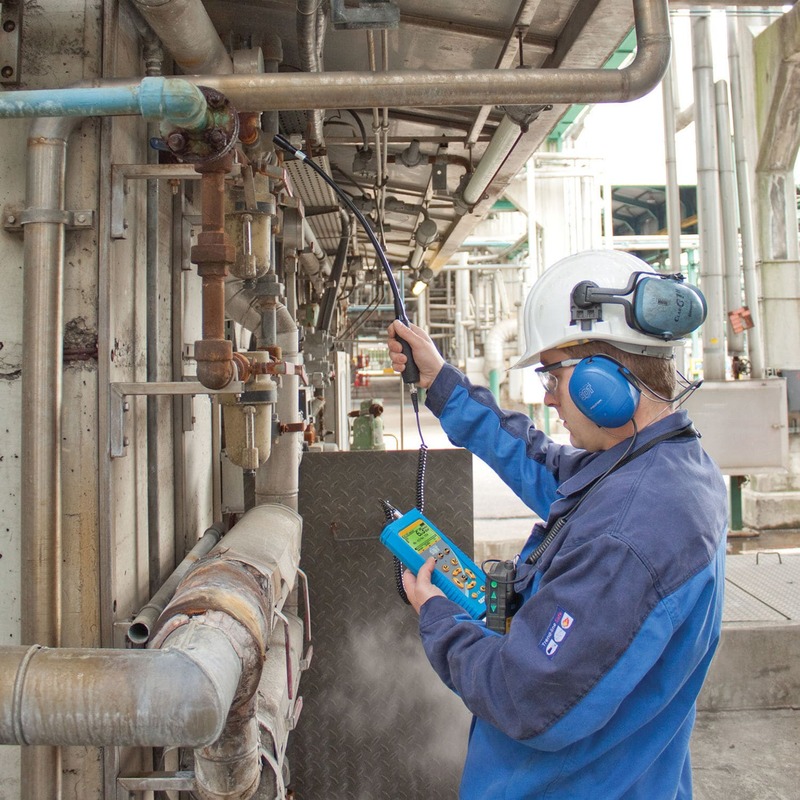 Locating compressed air leaks in an environment that is extremely noisy is best accomplished through the use of an ultrasound detector. The SDT270 Leak Surveyor Kit's design improves safety and simplicity and adds fun on the job. When choosing accessories for this kit, attention to comfort and safety come first. The leak surveyor kit comes with sensors that ensure that all leaks are found and tagged without compromising safety for the operator. The SDT270 comes with an internal airborne sensor, that is great at locating simple to reach leaks common in most compressed air systems. The default sensor turns on automatically when the instrument is turned on, and is available in the ATEX certified version under Directive 94/9/EC: II 1 G Ex ia IIC T3/T2 Ga.